Peter Maivia was a professional wrestler and a grandfather of famous The Rock. His grandfather died in 1982, and Dwayne Johnson, his grandson, bring in him in the WWE Hall of Fame posthumously. For the famous actor, former wrestler family comes in the first place, and he is a dedicated grandson, who is paying respects to his late grandparents in an extraordinary way. 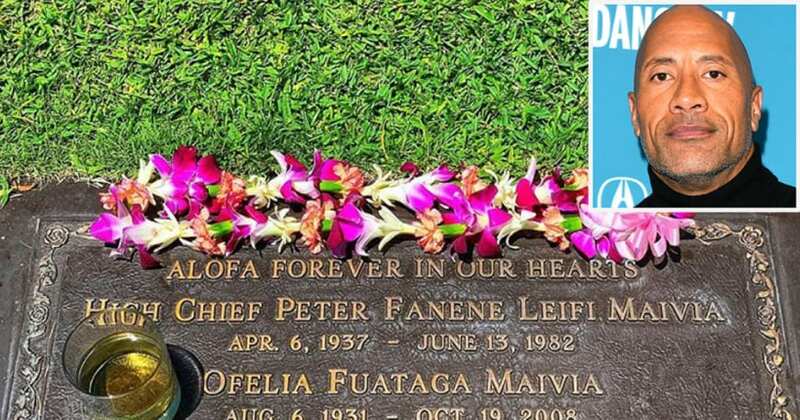 The Rock posted a photo to Instagram, where you can see a gravestone with the names of High Chief Peter Fanene Leifi Maivia and Ofelia Fuataga Maivia. His grandfather died in 1982, and his grandmother died in 2008. “Double shot of tequila for him. Beautiful lei for her. So good to spend some alone time with my grandma and grandpa today here in Hawaii. Life is so wildly hectic and unpredictable. But it’s amazing how slowing down to sit and talk with the spirits of your loved ones can recalibrate your soul,” Johnson said in a caption under the photo. “Much needed. The heart is full. Love you both and I`ll keep my promise”, The Rock added. Johnson’s grandfather died of cancer in 1982, and Dwayne introduced him into the WWE Hall of Fame posthumously. After releasing the animated movie Moana, Dwayne Johnson said that the character Maui was inspired by his grandfather Peter. High Chief Peter Maivia. A proud High Chief of Samoa. Widely considered the toughest man in the history of wrestling. In a fight, he once bit another man’s eye out. A savage when pushed. And yet the most loving, caring & kind hearted man I have ever known. He died 31 years ago today. I miss you, Grandpa. (and I hope IMYP), Johnson described his grandpa below a photo set on Instagram. In the one interview from 2016, he said that his grandmother was homeless and she was living with another family. 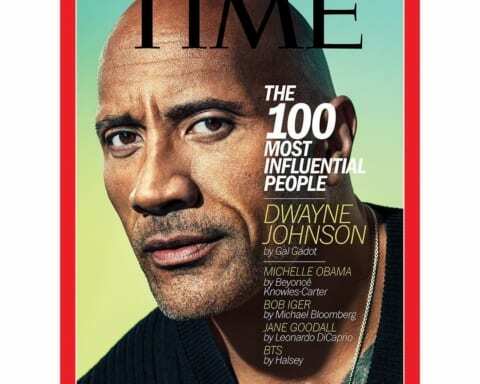 “The family would call us and write letters, ‘please you have to get your grandmother, you have to get your mom,’but we couldn’t afford to”, The Rock said. #Tbt In Samoan culture there’s a very special dance called the “Taualuga” where we, as men honor the women by dancing around them out of love and great respect. On my grandmother’s 80th birthday she danced her Taualuga while I proudly danced around her while she laughed and beamed with pride. She had the greatest birthday and her smile was from ear to ear. My grandmother, Lia Maivia was a strong willed, highly respected and tough pioneer in the world of pro wrestling, becoming wrestling’s first successful female promoter. But when we hit hard times and my family was evicted, shortly after that my grandmother became homeless. When I finally could afford it I bought her a place of her very own that she LOVED! I always asked after that, “Grandma are you happy?” To which she’d call me by my Samoan name and say, “Tuifeai I’m so happy.. thank you.. oh and can you please sing that song I like..” Ha! I’d start singin’ away (off key of course) and she’d laugh and smile from ear to ear. A few months after this picture was taken my grandma passed away peacefully in her sleep. I know we all experience loss and it’s so tough to deal with… but I’m forever grateful for the one of kind life lessons only grandma’s can teach us. Miss you grandma and I hope you hear me cause I’m still quietly singin’ away to you.. Misiga tele ‘oe Grandma, alofa tele atu mo ‘oe. 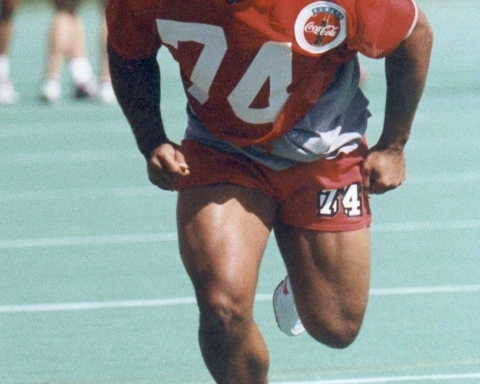 The famous actor had a plan to enter into the NFL after the college, but he only gets into the Canadian Football League, where he stayed only a few months. His second plan was wrestling, and that was a golden ticket for money, fame, and success.